Guidons and More is a veteran owned business located close to Camp Pendleton Marine Corps Base in California. We have been in business since 2005. We specialize in high quality, Government Specified (G-Spec) Parade & Ceremonial flag products. We understand the importance of getting the right product made correctly, to specifications, and delivered on time. Ordering through the military supply system can take months but we can often ship you custom product in as fast as 1 week. Being a veteran owned business, we understand and value the special relationship we have with our military community past and present. 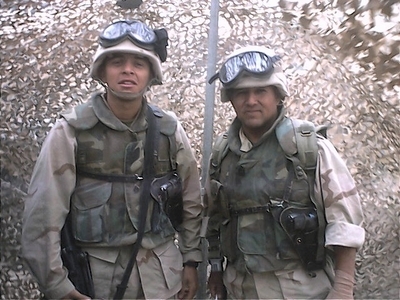 We have combined military service of over 55 years and have ourselves deployed to Iraq & Afghanistan. We strive to provide the highest quality products and back it up with unmatched service. We understand Mission Accomplishment. Our Company is a US Government registered Supplier listed in SAM.Gov under U.S. Heraldry LLC. Our Cage Code is 4HMN8. Allow us the opportunity to service your organizational requirements. To all who have served Past and Present and those who support them; WE SALUTE YOU! We have moved! We are now located at 110 Copperwood Way Suite A in Oceanside Ca 92058. We normally ship stock items within 24 hours after reciept of payment. We use UPS as our primary shipper but can ship USPS in the event the customer has a P.O. box. Shipping times vary but is usually 7-10 days via ground service. Custom orders normally take between 2-3 weeks to ship depending on workload. Please call us for rush orders. We offer a 14 day money back guarantee on stock items from date of receipt. Some select items do not qualify for our return policy.We do not offer refunds on custom orders unless due to defect or our error. If you are not satisfied with your product, just contact us for a Return Authorization number prior to returning your item within 14 days of receipt of your item. A 15% restocking fee will apply for all pre-approved returns. Please note that shipping costs are not refundable unless due to our error. Once your item is recieved at our store, you will receive a refund back to your method of payment.